This year’s ride will be a 1-day event; it will start and end at The Machinists Office Building. The route is still to be determined (usually by mid-May) because we want to make sure we have the safest route and not run into any detours. A ride t-shirt/dinner will be included with registration. Click on the flyer for more info and how to help. Want to FUNDRAISE or DONATE? Click the button below! 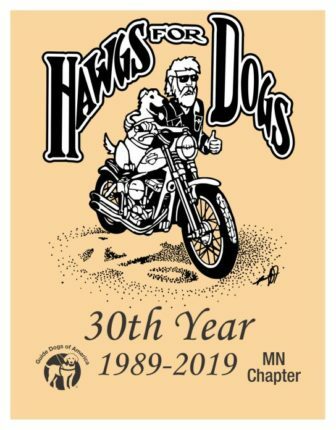 If you would like help creating your fundraising page or making a donation, view the Hawgs for Dogs – Fundraiser Instructions.